"The recipe for this range was simple. Take an extremely versatile shade, add an extremely versatile collar (that's one you can wear with or without a tie), and what do you have? Clue: it has buttons and you can wear it rather a lot." 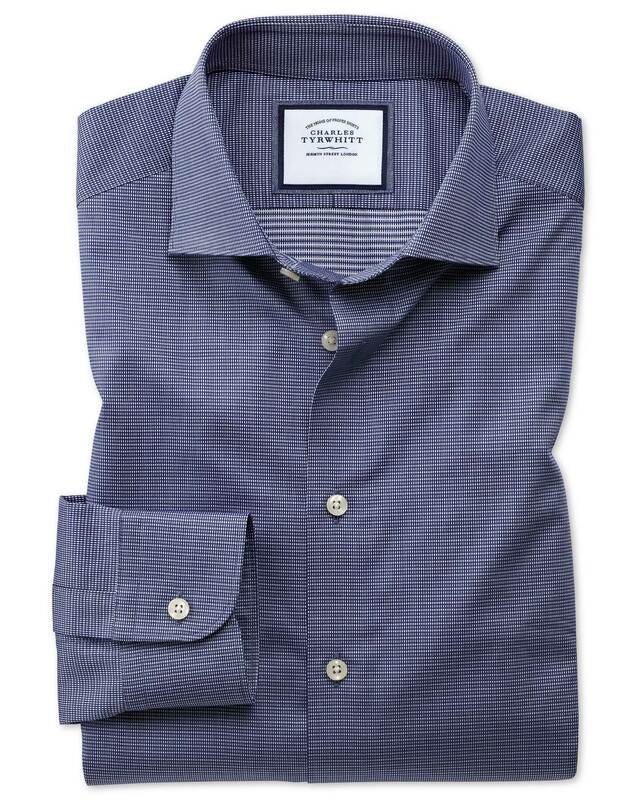 "Egyptian cotton is truly the finest we've found, and makes for a smoother, softer, stronger shirt." Inconsistant sizes. I ordered 5 shirts but had to return 4 of them. All were extra slim but the actual measurement around waist for every shirt was different, varying by 4-8 cm. Very disappointed. Response from Charles Tyrwhitt: This is certainly most concerning, so thank you for bringing it to our attention. While it's fairly common for there to be slight variances in the shirts due to the manufacturing process, they should not be anywhere close to this level. I have fed your concerns back directly to the Products Team to look into further. While I hope you will be pleased with the shirt you have retained, we will have refunds issued for the others once we receive them back. Very good quality shirt. I love it.